Do you have a WordPress blog that isn’t receiving as much traffic as you’d like? It’s a disheartening problem to have, but fear not, it likely has nothing to do with the quality of your writing. Rather, the problem probably lies in your SEO, or search engine optimization. When people conduct a WordPress blog search on Google, it’s likely that your blog isn’t showing up very high in the search results. Since people use Google 3.5 billion times a day, it’s crucial that your blog has good SEO. 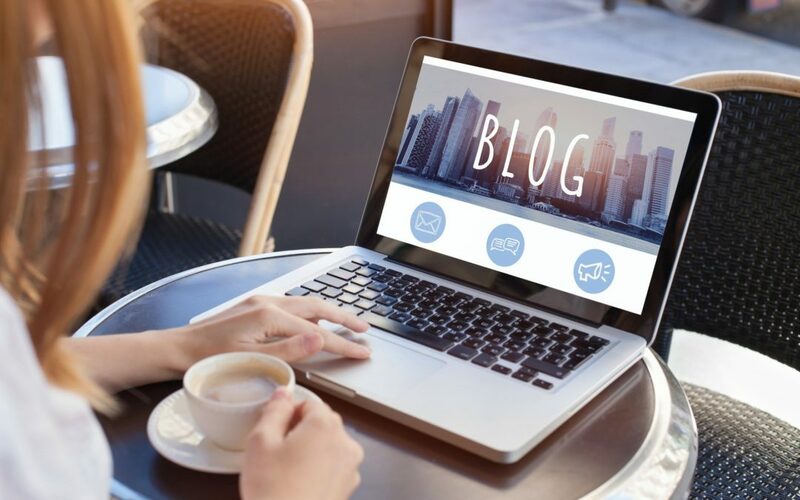 In this brief guide, we’ll give you some tips on how to optimize your blog. When talking about SEO, a “keyword” refers to the word or words people use when searching for things on Google and other search engines. So if you have a cooking blog, for example, you should have cooking-related keywords in the body of your blog. This will happen organically to some degree, but you can use tools like the Google Adwords Keyword tool to find keywords you haven’t used yet. The purpose behind “linking,” or hyperlinking to other websites or even different pages on your own, is a bit more complicated but the practice is easy to execute. Basically, Google’s search algorithm prioritizes websites that use reputable sources. External linking – linking to a site other than your own – to a reputable source like ABC News, for example, connects your site with theirs in a sense. Doing this boosts your blog’s search rankings. Internal linking is linking to different posts on your own blog in an effort to give Google a virtual map of your website. By referencing your own posts, Google’s algorithm can develop a better picture of your website and your SEO gets boosted. There are plenty of resources online if you want to learn more about this practice. Highly trafficked websites indicate that a website is popular and/or reputable in Google’s eyes. So an easy way to boost your traffic is to allow users to subscribe to your blog through RSS or other blog subscription platforms. This way, fans of your blog will get notifications when you post, and they’ll be more likely to visit your site more frequently. Those awesome keywords you found using the Google keyword tool shouldn’t just be used in the body of your web pages. They should also be placed in areas that bloggers usually forget about as well. These areas are not all visible to the user, but it’s important for Google’s search algorithm. These areas (we should actually tell you what they are, huh) are the HTML Title of the page, the URL, Meta Description, header tags, and image tags. Without keywords in these areas, your blog won’t succeed like it should. Need Help Boosting Your WordPress Blog Search Results? SEO is a pretty difficult field to job into if you aren’t very tech savvy. There’s a lot of technical jargon involved, and optimizing your website can also be quite time-consuming. If you’d like a team of professionals to help you in boosting your WordPress blog search results to the max, check out the services we provide.